Tanda is a cloud-based workforce management and employee scheduling solution. Its features include shift schedule management, real-time reporting, time clock tracking, timesheet automation, and payroll integration. In this article, we covered user reviews and pricing. Ready to try Tanda? Get a free trial. Users who gave Tanda a positive review like its accessibility because of its cloud technology. Many also said that the program is easy to use and navigate. Some also commended the accuracy of the timesheets, as well as the promptness of the customer support team. One user who gave Tanda a positive review on Capterra said that the user interface is simple and intuitive. He shared that the program is efficient in managing schedules and has been useful in helping their team sort employees’ timesheets. He also likes that it can be easily integrated with their payroll software. Users who gave Tanda a critical review reported experiencing system lags and technical glitches. Some also mentioned that the reporting feature could be improved. One user who gave Tanda a negative review on Capterra wished for additional reporting capabilities. He also said that the web app is too heavy as his computer tends to lag when using the software. 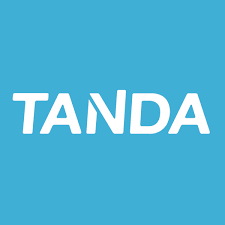 Tanda has a standard subscription plan priced at $5/employee/month for month-to-month billing and $4/employee/month for annual billing. Users only get billed for the active employees each month. Interested parties of 150 employees or more can avail the enterprise plan but have to contact support for custom pricing. Ready to try Tanda? Get a free trial. Best Employee Scheduling Software Tools 2018 — Employee scheduling software is an online tool that lets you build calendar-like schedules, automate timekeeping, and replace manual timesheets and old fashioned time clocks. We reviewed employee scheduling programs that cover the range of options for small businesses in terms of pricing, features, ease of use, mobile access by employees, integrations, and positive customer reviews. Read this article to know more. What industries does Tanda cater to? Tanda caters to many different industries including food service, country clubs, hotels, medical, manufacturing, warehousing, and retail. Where can users download the time clock app? Tanda’s time clock app can be downloaded from the iTunes App Store for iOS devices and Google Play for Android. Not sure if Tanda is the right fit for you? Read our reviews of all top employee scheduling software providers or check out one of these three Tanda competitors.